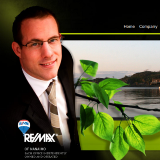 #1 REALTOR RE/MAX of Nanaimo DT 2010. Combining the latest in technology with good old fashioned hard work. Top Selling Vancouver Island Real Estate Agent.